As my interlocutor is one of the world’s wealthiest men, the assertion is vested with a certain authority. 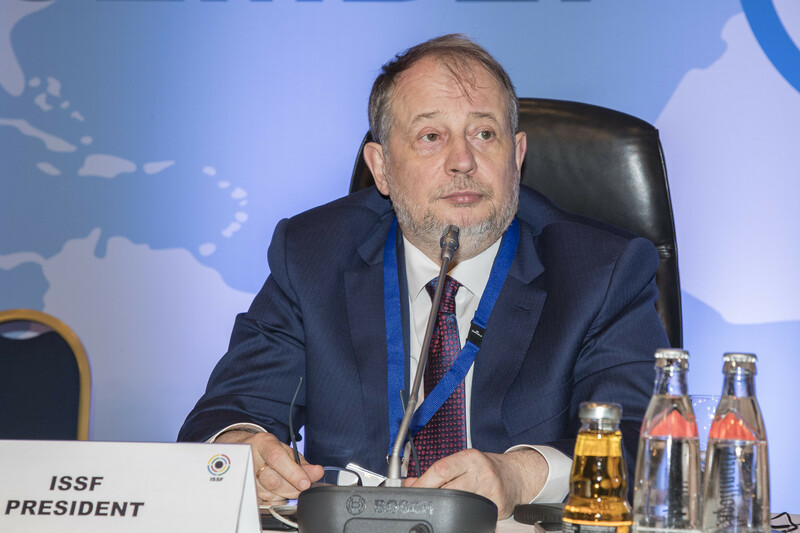 I am sitting with Vladimir Lisin little more than 36 hours after the Russian’s election as President of the International Shooting Sport Federation (ISSF). Since we are accompanied by an Italian, as well as another Russian, and are ensconced in a Munich hotel, our gathering has something of the international flavour of the world of sport we are discussing. Since it is also the first interview Lisin has granted since his elevation, you might think that all would be rosy in my small journalist’s garden. There is a problem though, language: my Russian is limited to basics like do svidaniya, Lev Yashin and ya tebya lyublyu. Lisin’s English is much better; usually, with occasional help from other members of our party, he gets his meaning across. But the words are often jumbled in unexpected ways perhaps related to Russian sentence structures. Since his mind plainly moves much faster than he can find the exact English expressions he needs, this sometimes results in quirkily memorable phrases. "No coffee-break before finish" was among his early Presidential pronouncements, this as a wearisome voting process was entering its fifth round. "Dress code freestyle" was another, before the post-General Assembly dinner. But if I was hoping for carefully modulated four-paragraph quotations about his plans for world shooting, this clearly was not going to happen; after a day and a half in charge, it was, in all fairness, a bit early to expect that anyway. So I decided that the point of the interview must be to build up an impression of a man whose station in the world, and the path he has followed to ascend to it, would suggest has some exceptional traits. 1. I am not surprised he has been successful in business. He parses my list of questions like the agenda of a board meeting. Clearly, he manages his time very efficiently. Some of his most interesting comments relate to his business, the steelmaker NLMK. "It is not easy today to have a company with a good [share] price," he says. His approach to ISSF seems to resemble in some ways what I imagine he would do when taking over a new company. When I ask about early priorities, one of those he mentions is spending time at headquarters thinking about what needs to stay the way it is and what needs to change. "Normal management," as he puts it. Even making allowance for the likelihood that he is in a good mood, having just come out on top in a tough election, there is a definite charm about him. When I follow up that remark about the rich being able to choose their passions, with the deeply unimaginative, "And shooting is your passion?" he fires back, "How you know about that?" and laughs, adding more pointedly, "And now the International Federation is my passion". 2. The 62 year-old carries none of the airs and graces of privilege. If someone told you out of the blue this was one of the world’s richest men, you would know instantly that he had fought his way up and was not to the manor born. It turns out he grew up in Siberia, though born in his grandmother’s house 150 miles north-east of Moscow, and took up shooting after winning a school competition at the age of around 12. Most remarkably, to me, his father used to play football for the club today known as Shakhtar Donetsk, in eastern Ukraine. "Donetsk was called Stalino [as it was between 1924 and 1961]," he recalls. "The football team was composed completely of miners. "The 120 best players among miners from all over Russia came to Stalino. "Then they went to Sochi, made a selection, and my father was selected to stay with Donetsk." The new ISSF President began his career as an electrical fitter and, while you would not describe him as extrovert, he has none of the aloofness associated with the super-rich. "For myself, maybe a General Assembly each two months because I enjoy talking with people. "But you know it is very expensive for some federations." 3. I also picked up glimpses of a certain straightforwardness in the ISSF’s new leaders that can come across almost as naivete, though I doubt that is actually what it is. This was apparent in a motion to raise membership fees on the new regime’s first day at the helm. He and secretary general Alexander Ratner also referred to a similar concept that I suspect will come up repeatedly as time goes on. Ratner’s expression was that "Everyone has the same rights, everyone should have the same responsibilities"; Lisin alluded more simply to the principle of equality for all. The emphatic vote does not, of course, mean that there may not be a case for reform on this issue. It seems many National Federations get a discount, which may explain why membership fees yield only around €103,000 (£91,500/$117,000), whereas if all 161 affiliated governing bodies paid the full CHF1,500 (£1,180/$1,500/€1,330), it should bring in more than twice that sum. It is in any case hard to disagree with Lisin when he talks about a need for discussions with National Olympic Committees about why some Federations get "peanuts money" for development, or that this whole area constitutes a "good corridor for investigation". The new President is also on solid ground when drawing a connection between the sport’s ability to attract much-needed sponsorship funding and both the way it looks live and onscreen, and how easy it is for non-experts to comprehend what is going on. "Understandable for all" is the phrase he uses. When I ask him about gun crime, particularly in the United States, and whether this affects the sport adversely, he answers at some length, making two points: first, that a distinction needs to be drawn between military-style weapons that can spray out a potentially devastating profusion of bullets and Olympic firearms, which fire one shot at a time; second, that Olympic shooting athletes never turn to gun crime. And on the Commonwealth Games, another topical subject, he asks rhetorically how it is possible for a sport with so many National Federations that are eligible for the Games not to be included in those Games - especially in a country fond of shooting sport. There are, he jokes, as many shotguns as tennis racquets in the UK. I have no idea whether this is factually correct, but it again illustrates Lisin’s ability to make a point in a pithy, down-to-earth and memorable manner. 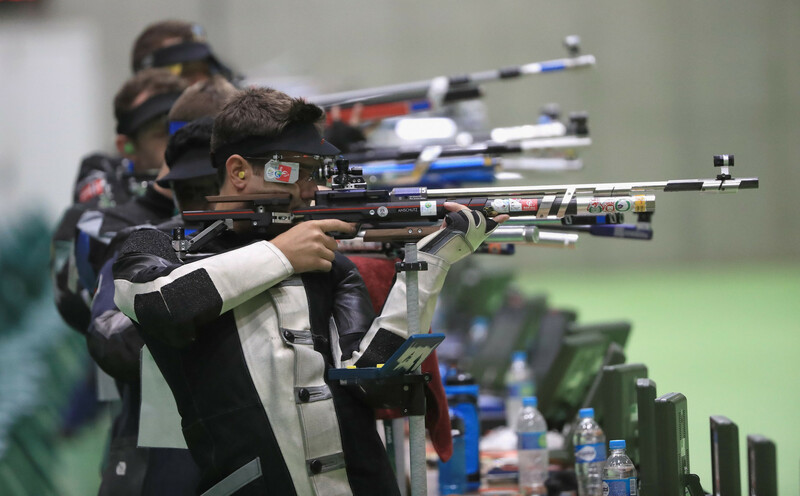 Shooting sport will be worth keeping an eye on in this new era after nearly four decades under one man, Mexico’s Olegario Vázquez Raña. Based on my four days in Munich, it is not going to be dull. • The gradual spread of electronic voting around the sporting world is making this something of a golden era for test questions. 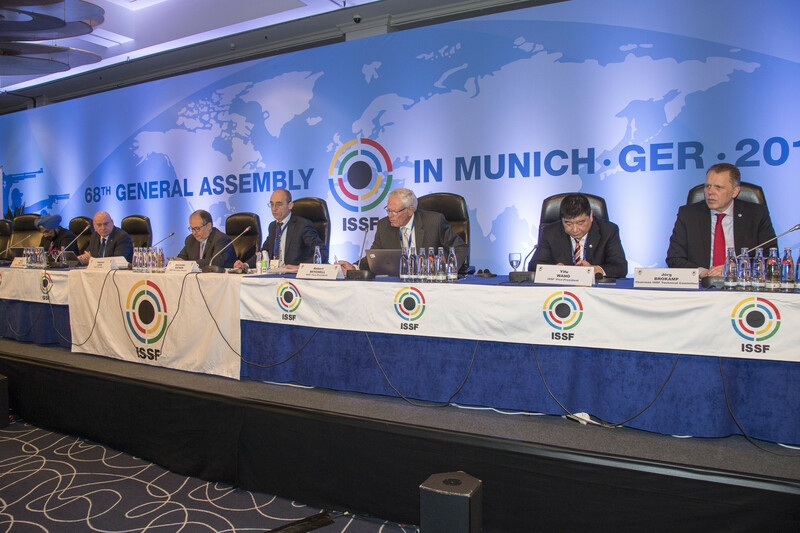 There was an absolute corker during the ISSF General Assembly. The genius lay not in the actual question - Which of the following food do you like most? - but in the options presented to the salivating electorate: a) pork knuckle (!) b) wiener schnitzel and c) green salad. You could hardly wish for a better insight into the cultural hinterland of the question-setter. Naturally, in keeping with the zeitgeist, green salad topped the poll.